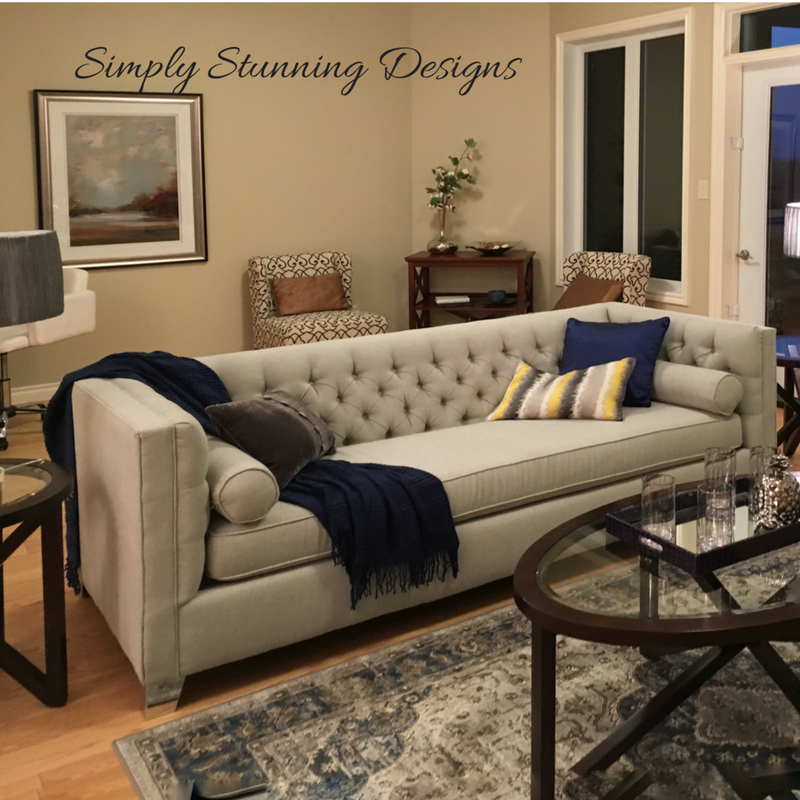 "We had Dianne and her team at Simply Stunning Designs stage one of our brand new showhomes in Pilot Butte and it was fantastic. They nailed all of the little details. The home looked both extremely presentable and had just the right amount of "lived in." Our sales team will be using this home to even greater effect after having Simply Stunning do their thing. 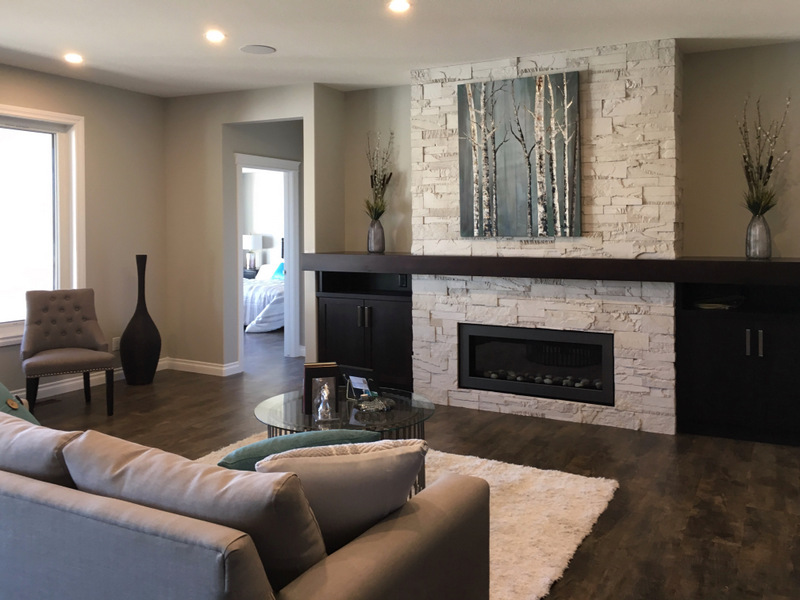 For your next staging or design project be sure to give them a call" -- Kaleb Motz, Marketing Director, NewRock Developments. 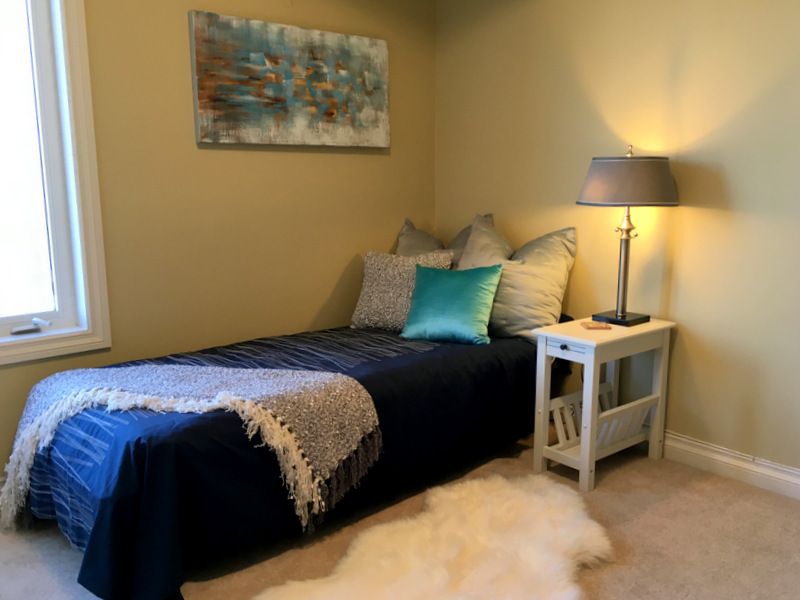 This small home was ready for sale, cleaned and staged to appeal to the broadest range of clients. It sold within days, but that sale fell through because the owners had not put their finances in order. It went back on the market and sold again within a few weeks. The owners loved the staging and have said they believe that's why it sold so fast in a huge buyers market! Here is a beautiful condo at 1204 Gryphons Walk, a lovely neighbourhood near Wascana Lake. I advised the owners to paint the whole upper level a fresh lighter colour, as well as paint the tiles around the fireplace to be a more neutral look for the new owners. I also advised them to install a new light fixture. 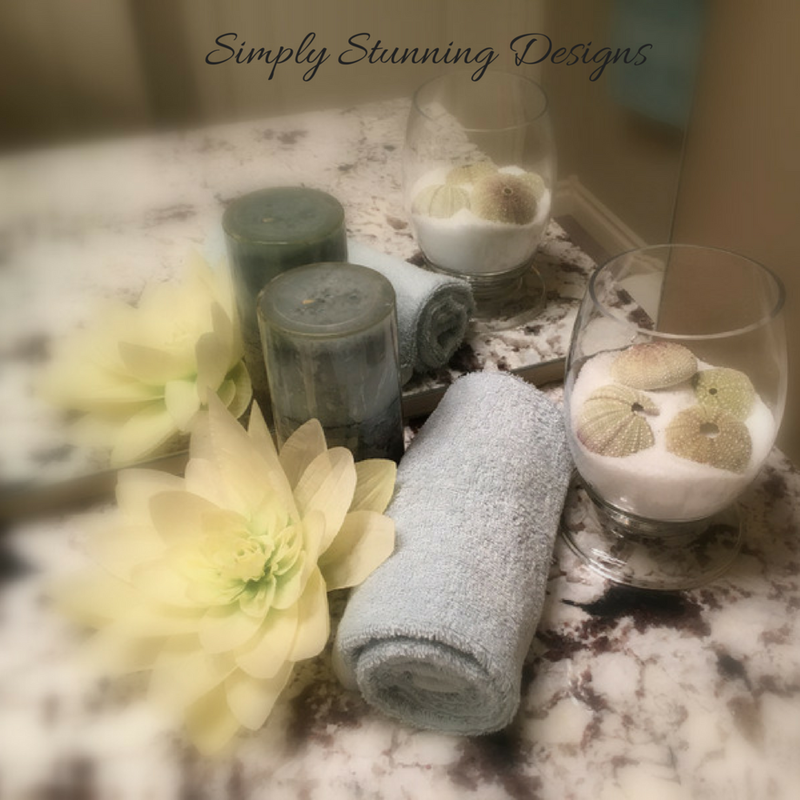 It helped to make the whole Condo look brighter and more inviting. Then I added just enough furniture, accessories and extra lighting to show off each space. The Realtor and owners were extremely happy with the new look as they had been trying to sell it 'as is' since spring. This house sold just before Christmas. I wish I could have helped them in the spring! Fresh paint colour was recommended as well as painting the tiles on the fireplace to give wider appeal to new buyers. A different dining room light was also installed to give more light and design. 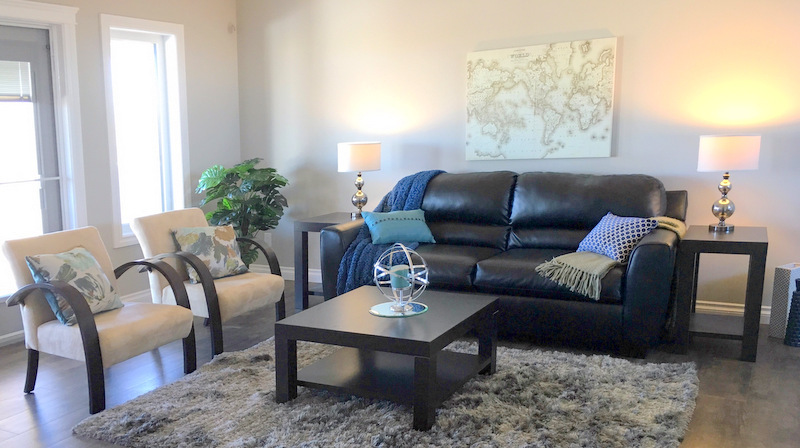 This was a family room before it was Staged to Sell. Before and After Success Story....check out these pictures. When all the decluttering and staging was complete, the house sold in one day!!! Here it is after Staging. SETTING THE RIGHT STAGE for selling a home is essential for a fast sale, especially in summer when buyers are out in droves and rushing to find the right home due to relocating or setting up house before the beginning of the next school year. If your home is not ready for a showing, whether because the yard is in poor shape, the house is cluttered or because you haven't made necessary repairs, the potential buyer will likely move on to the next house for sale, leaving yours to sit on the market. 1. Maintain curb appeal. The outside of the house is just as important as the inside. It is the first thing a prospective buyer will see. An overgrown, dishevelled front yard might inspire a potential buyer to keep driving. When showing your house, always keep the lawn and bushes manicured and plant flowers, keeping in mind that yellow flowers stimulate buying impulses. 2. Make it clutter free. The most inexpensive thing you can do to make your home ready to show is to clean up the clutter and show lots of useable space. For example, if you tend to keep small appliances and Utensils on the counter-tops, store them in the cupboards so people can see the greatest amount of available counter space. 3. Make the home easily accessible for showings. Buyers, especially those ready to make an offer, want to see the home when it is convenient for them. The most qualified buyers are often those on a short trip to an area before a corporate move, who must find a house quickly during that trip. If your home isn't available to show, the agent will just move on to another house.